Also props to SKD Scans. You Guys Rock! Now Let´s go to the Chapter! The Chapter starts with Aries Mu and his Disciple Kiki, Kiki says that the barrier that Athena has made it´s getting weaker and weaker. Mu tells Kiki that he needs to go. Kiki asks why and the Aries Gold Saint responds saying that if he stays he might become on an enemy…And he truly don´t want to kill his own Disciple. Mu starts remembering on the time he was going to repair the Equuleus armor. Mu was reluctant to do it since it´s users it´s the one who born under the evil star of Eris; but these guys, the Mayura´s Disciples (whose names I forgot) they beg for Mu to repair the armor, even if it´s at the cost of their lives and that they are sure that Shoko will overcome her fate and that her presence will be key to what it was about to happen. Needless to say. Mu ended up repairing it. But now it looks like he is going to do something. Meanwhile Shoko has ended up beating that clone of hers. It hurts to even breath, her body is burning she is so hot!... No, not in that way (well, maybe a little) but more that there are lots and lots of weird energy inside her. Shoko feels like she can take on anyone right now! A voice is heard by her back. It looks like that Clone of hers didn´t died in the end. And now she has the dryad version of the Equuleus armor!...Which it looks like it is only armor and no clothes or anything between her body and the armor…No I wont make a dirty comment on it. I am not so low. On any case Shoko´s Clone it´s about to attack her right now but Shoko is faster and attacks her first! Ouch! In truth that has to hurt! Shoko´s clone then detects something. That all of that power that Shoko has is not hers… But it comes from Eris instead! Eris has been protecting Shoko since the beginning. Eris is feeding with Cosmo the body of Shoko, and that´s why she is so strong. Meanwhile Eris/Kyoko, who looks like can see everything from her throne, like every major Saint Seiya enemy, it´s saying that it´s the truth. That while she is making her stronger and stronger Shoko will be getting stronger too...Since both have the same star. Shoko is disappointed with that fact and yells that she doesn´t need her sister´s powers and protection. Her will it´s so strong that reaches to the apple and it breaks. Eris is impressed…Or dishearten or something. at the very least the picture of her mouth reveals it. Suddenly an incredible pain comes to Shoko. Shoko´s Clone start saying that since she doesn´t have Eris´s Blessing anymore, all the damage she received it has started to truly affect her. Shoko´s Clone it is very sad that the Sister of her Goddess is making her suffer like that, even though Eris only wants the best for her. And that it´s why she is going to kill her! The Dryad presents her true name: Madness Mania! And she attacks! Shoko responds the attack but Mania it´s very fast she is pushing Shoko! Even more, Mania it´s fusing her dark cosmos with her Meteor Punches! But Shoko will trust in her own power and her own hope in order to defeat her! Needless to say. She defeats Mania. And also we see the Equuleus Ryuseiken in all it´s Glory! (Meteoros del Caballo menor or Equuleus/minor horse meteor punches). Mania tells that maybe Shoko, with those fists of her..She might be able to end the suffering of Eris. Before transforming on a lot of beautiful flowers, Mania encomends Shoko to save the soul of Eris/Kyoko. Suddenly something attacks her! Ate has come and she will take both the head of Shoko and Athena! Ate says that she can´t trust on the Dryads who were humans before in order to do the job. Ate attacks again but a Crystal wall protects both Shoko and Athena! Aperson stands before her, he says that Shoko should never let her guard down after beating an enemy…That is disappointing. A Good chapter all around! Now that the battle against Mania as ended it is time for Shoko to start running for her life! Since the Dryads will be all over her. I will make a little theory and will say that Mu will be protecting Athena as of right now, while Shoko will be going to face Eris. Also that she will, in some way, earn the respect of Mu in some form and will recognize that her role on all of this will be important. Talking now about the Dryads. Looking at Mania, it looks like there are various Dryads who were Human before, and that they care a lot for the human side of Eris. Unlike Ate, who just takes care of the Goddess side. It can be interesting how all of the grudges and rivalries inside the Eris Army will act. Heh…I remember a theory that it was back on the first story arc. I said more or less that maybe the true enemy is not Eris, but Ate… Since it looks like she has some truly hard and strict ideas of what Eris should be and should do. Now to the next point. First, I am not a part of SKD Scans…Nor I am any sort of representing or PR Person for them. I am just a fan who likes and appreciate all the work they do. I am saying this because they need some money in order to buy the newest Volume, and I am sure that they will appreciate all the help they can get. Of course , no one –not even me- are obligued in any way, shape or form to donate to them. But if you have 1 or 2 bucks to give, I am sure they will appreciated it! Also…Sadly right now I don´t have much money, since on the Buen Fin (Mexican Black Friday who occurred at the beginning of November) I spent lots of my money dedicated to games/Anime/Manga/Movies/whatever buying some things, and the rest of the free money I have it´s going to family Christmas gifts and Christmas dinner, so I can´t donate now. Here to go to SKD website. On other point. 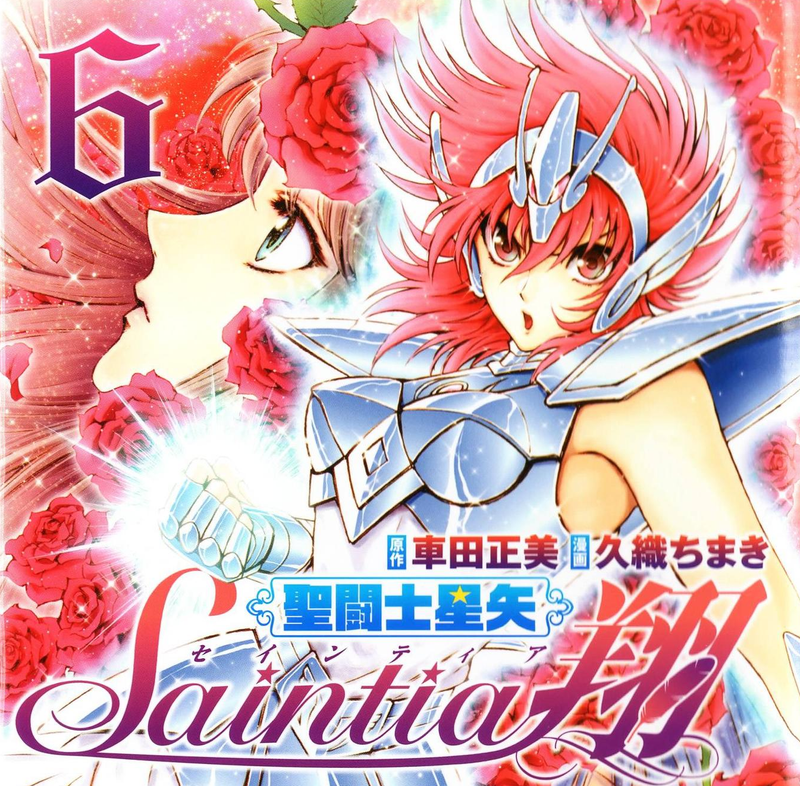 Here are some other nice images of Saintia Sho for your viewing pleasure! Anyway my two cents. See Ya Next Time and Happy reading!